In an instant the woods are filled with light. Easy wind plays with the leave of an unusual plant, which can be found only in the Magic Wood. Near of it, on the old log, elf loved to meet dawn. But now he has a lot of work - the autumn will come soon in the Wood. Elf very much loved to talk to the Butterfly, that each morning arrives here, sits on a sheet and only occasionally flies up, sparkled with her wings. The day comes and the sun rises in zenith, now you can't see it, and through a crone of trees the Butterfly examines a slice of the light-blue sky and white spot of clouds. Ah, as quietly and peacefully in the afternoon in the Magic Wood! It would be desirable to lie down on a grass, to stretch hands and to feel, as fresh wind pours by a cool your face. Absolutely beside you the butterflies-gossips flit, always talk without a pause about the last news of a wood. The time in the Magic Wood runs imperceptibly, and already the butterflies run after each other in beams of the sunset. By evening the Wood changes, as if it's not green already, but of the color of the autumn leaves, warm and sad. The sun disappears behind horizon, saying good-bye to the wood inhabitants till the next day. And somewhere in a grass the laborious ants, having interrupted the work, wish to the sun good night. You cannot download any crack or serial number for AD Mystery Forest on this page. Every software that you are able to download on our site is legal. There is no crack, serial number, hack or activation key for AD Mystery Forest present here. Our collection also doesn't contain any keygens, because keygen programs are being used in illegal ways which we do not support. All software that you can find here is freely downloadable and legal. 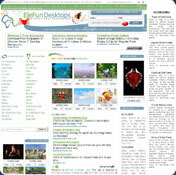 AD Mystery Forest installation package is prepared to be downloaded from our fast download servers. It is checked for possible viruses and is proven to be 100% clean and safe. Various leading antiviruses have been used to test AD Mystery Forest, if it contains any viruses. No infections have been found and downloading AD Mystery Forest is completelly problem free because of that reason. Our experts on malware detection tested AD Mystery Forest with various spyware and malware detection programs, including fyxm.net custom malware and spyware detection, and absolutelly no malware or spyware was found in AD Mystery Forest. All software that you can find on our servers, including AD Mystery Forest, is either freeware, shareware or open-source, some of the software packages are demo, trial or patch versions and if possible (public domain licence), we also host official full versions of software. Because we want to be one of the fastest download sites on the web, we host all the software including AD Mystery Forest on our servers. You cannot find here any torrents or download links that would lead you to dangerous sites. Rate AD Mystery Forest 5.07!